We all know tuning into what your body truly needs fuels your entire life. But its still so easy to talk ourselves out of grinding up that kale smoothie, making it to the 6 a.m. spin class, or switching off our screens an hour before we head to sleep. And I’m all about making healthy simple, so taking care of yourself becomes a natural, everyday habit. (No huge, uphill battle required.) I believe in living a nourishing, balanced life that doesn’t deprive you—but instead makes you feel happy, healthy and whole. Go ahead and wave goodbye to fad diets that don’t work, and unbalanced guts that get in the way of...well...everything. My entire life’s passion is helping you step into the healthiest, happiest version of YOU. All you need is some help from me and a little bit of elbow grease E.V.O.O. (After all, my expertise lies in both teaching + empowering you to create a lasting lifestyle you’re absolutely in LOVE with.) I can’t wait to watch you tap into your power, potential to transform your health, and penchant for sauteeing a mean zucchini. Wink. Here’s what past past clients have cooked up. to put myself first so I can be there fully for my family, friends and clients. over the years I didn’t think I would learn a great deal to improve my diet, but boy was I wrong! needs! I am forever grateful!! programs! Do it for YOURSELF!! You won’t regret it! Jayne has taught me so much in the months that we have been working together! She has helped my entire family to improve our health and wellness with her hands on approach! Jayne is constantly sending me new information and helpful tips that can help my family. Jayne is always keeping her eyes and ears open for new things that can help us! She has helped us with supplement recommendations, healthy recipes and nutrition, fitness advice, and lifestyle changes. Jayne truly customizes your plan in a step by step approach by giving you attainable short term targets to help you achieve your long term health goals. The best thing about working with Jayne is that she is so passionate about helping people and sharing all of her wonderful knowledge! She truly cares about her clients and is so dedicated to improving their lives! Thank you Jayne!! I loved participating in Jayne’s 21-day program! It has changed my whole outlook on food choices and I’m more conscious of healthier options. Before starting the 21-day program, I had a high carb and high sugar diet. After the program, I was able to get rid of my daily sugar cravings and I feel so much better! 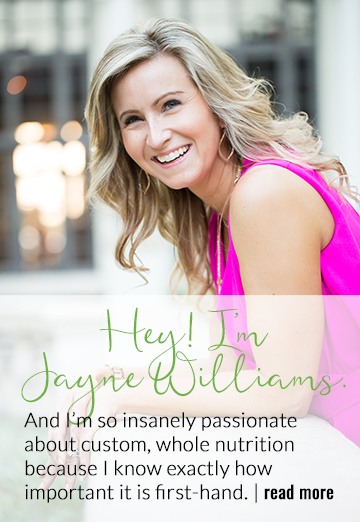 Jayne is a wealth of information and is truly passionate about helping people live their life to the fullest! I highly recommend Jayne if you are looking for someone to help you on your journey to live a healthier lifestyle! You will love her! Jane’s is extremely passionate about helping her clients work towards their “best self”. She is supportive, informed and always available to answer a question. 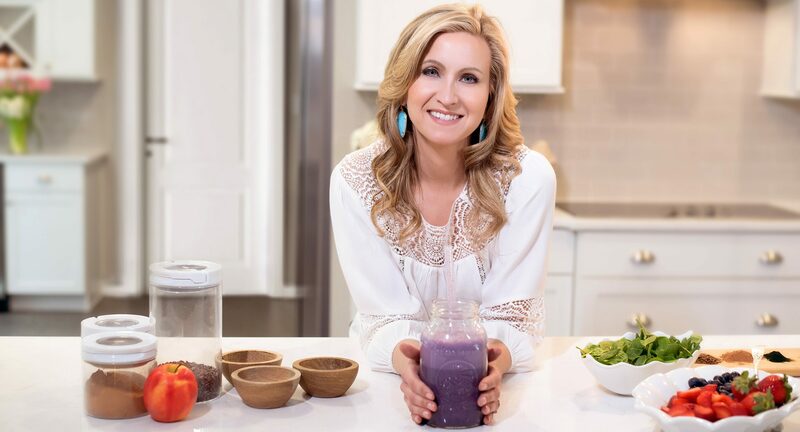 On the cleanse, Jane was my biggest cheerleader, I did not know if I would be able to make it through the 7 days but she was always there with a motivational nudge and practical advice. 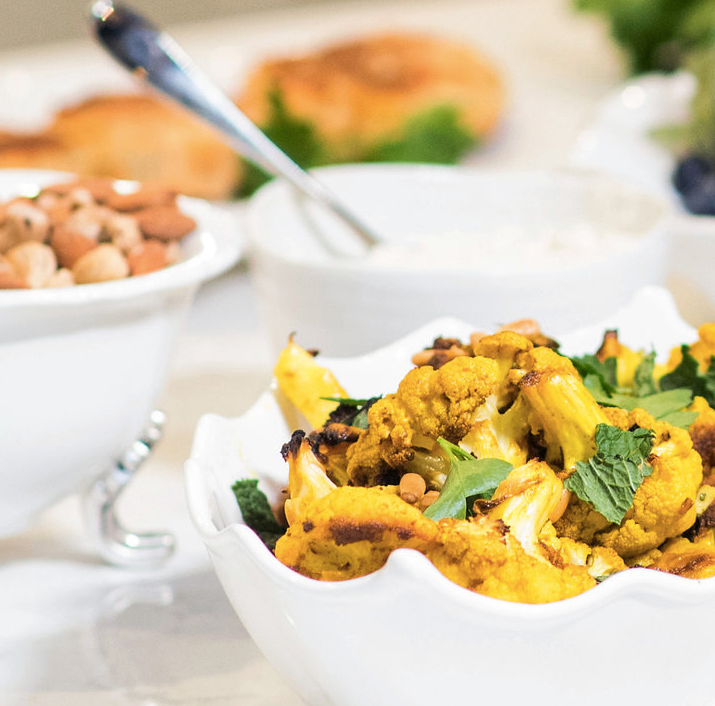 On the cleanse, I lost 7lbs but more important, my stomach felt great – light and happy. I would recommend Jane and the program to anyone who is searching for help in achieving their goal of being healthy. Enter your information below to get the technique!